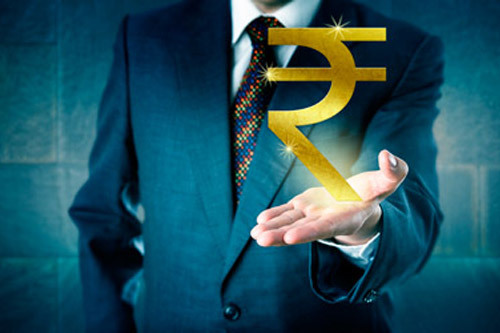 online Demat & Trading Account. 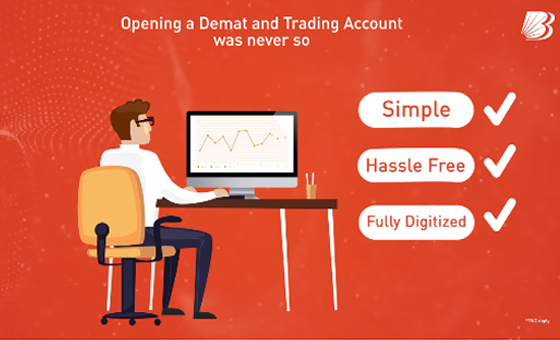 The 3-in-1 Bank, Demat & trading account provides you the unique benefit of opening an online Demat, trading synchronized with your bank account hassle free and 100% online. 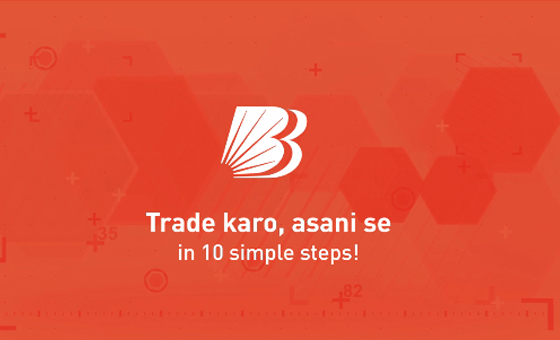 It is smarter way to trade seamlessly on the Baroda Etrade Mobile app and Baroda ETrade Website based on the advise of dedicated equity advisors and institution grade research. 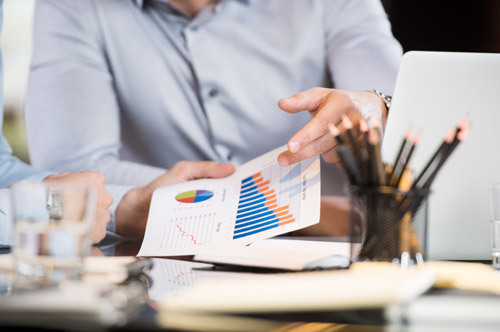 A certified and experienced Equity Advisor will help you devise a customized trading and investment strategy, tailor made especially for you. 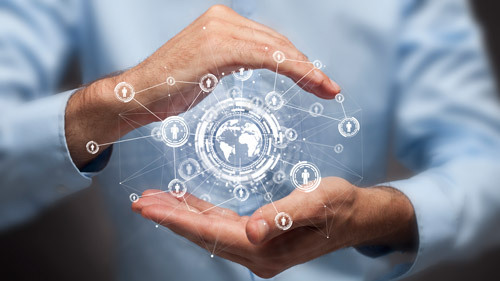 Your personal single point of contact for your all trading requirements including portfolio analysis, trade execution as well as provide market updates & research ideas. as well as help you execute trades. In short, your one point of contact to trade the markets smarter ! Competitive brokerage rates, No AMC for Trading Account, 1st year AMC for Demat account waived off – Because all good things don’t need to cost the sky! The brokerage for trades executed through Bobcaps equity dealers or any online platforms for the first month starting on the day of account opening will be charged as per your brokerage slab initially and will be reversed in your account within 3 months of account opening. (A minimum brokerage of Re.0.1 per share in Cash segment or Re.1 per lot in FNO and CDS segment will be charged) . During the offer period, brokerage will be calculated and charged as per the tariff plan applicable to the client. 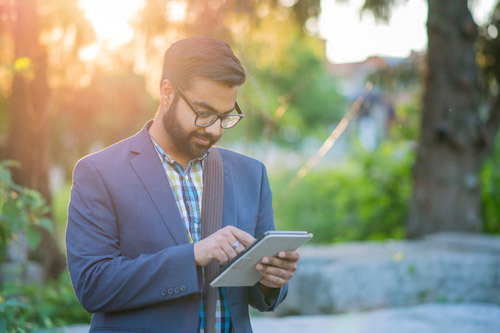 The statutory levies applicable on the brokerage charged to the client in the offer period will not be reversed or refunded back to the client at the time of giving credit for the brokerage amount. Only trades executed between 1st day of account opening to 30th day of account opening will be considered under the offer. Reversal is applicable if the total brokerage incurred during the offer period is more than Re.1. Experience the Difference. 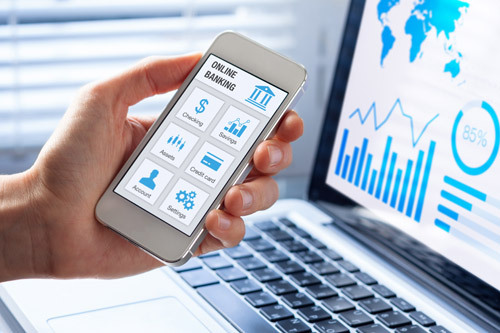 Open An Account Today! SEBI Single Registration Certificate - INZ000159332 dated 20th November 2017. *A/c opening process complete on submission on Physical Power of Attorney. Due to the restriction on use of OTP based Aadhaar e-sign for authentication, the online application form has to be printed and physically signed by the customer on all pages and submitted to BOBCaps. In-Person Verification (IPV) done for Bank of Baroda Demat A/c will be construed done for Trading A/c also. No Annual Maintenance Charges on Demat A/c for the first year. #Market timings from 9:15 am to 3:30 pm Monday to Friday. After market-hours orders (AMO) can be placed from 8:00 pm upto 8:00am next day. The AMO order will hit the market at 9:15am.